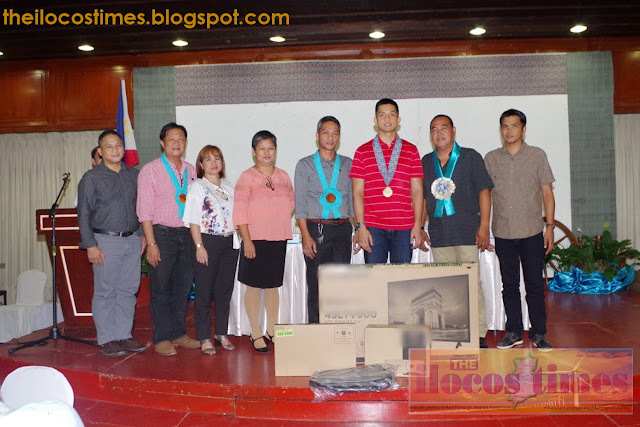 LAOAG CITY—Some 245 primary schools in the province became the latest recipients of 118 laptops, 100 projectors and 181 Smart LED television sets courtesy of the Provincial Government of Ilocos Norte. Funded under the Special Education Fund of the province, provincial government officials distributed the school equipment on August 30, 2018 in time for the management committee meeting and oath-taking of the new set of officers of the School Division of Ilocos Norte Federated Parents Teachers Association with Sangguniang Panlalawigan senior member Matthew Joseph M. Manotoc as inducting officer. In his speech, Mr. Manotoc expressed gratitude to the parent-representatives and to the teaching and non-teaching personnel of the Department of Education Ilocos Norte for their effective and efficient service to the children of the province. “On behalf of the provincial government, I thank you all for the great service you do for our community and school. 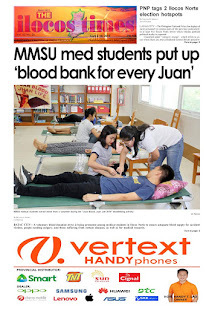 Education in Ilocos Norte is in good hands because of the things you do,” Mr. Manotoc said. Under the new set of guidelines in the SEF tax utilization, the Ilocos Norte government continues to distribute projects related to early childhood development and sports facilities for both elementary and high school. Among the first lucky beneficiaries of state-of-the art school equipment for this year include the Peralta Elementary School in Dingras, Santa Rosa Elementary School in Sarrat and the Evangelista Elementary School in Paoay. With Ilocos Norte’s average annual growth of 30 percent, the Provincial Development Council reported a significant increase in its collection of special education fund tax from PHP130 million in 2017 to more than Php 222 million, this year. Other projects funded under the SEF in previous years include the construction of more Day Care Centers, laboratory schools, comfort rooms and establishment of three-generation playgrounds in public parks.